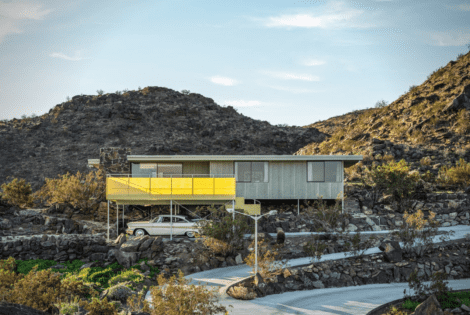 For $2,500,000 you can own the Cree House, a Palm Springs gem from architect Albert Frey. Have $12,900,000 to spend? 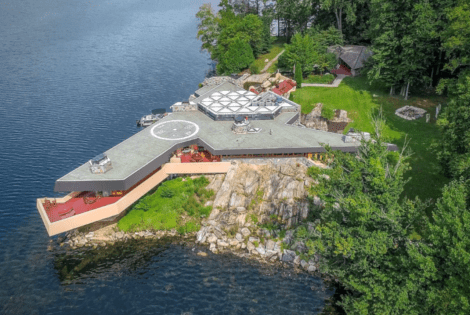 Why not check out Petre Island in New York, which includes not one but two Frank Lloyd Wright homes? 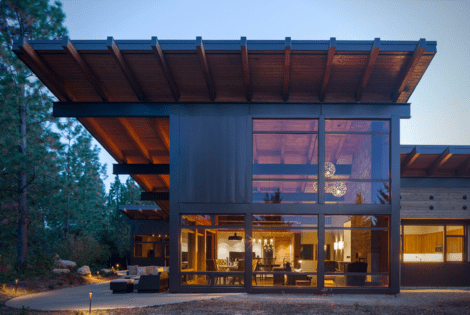 Tumble Creek Cabin combines solar panels, passive solar strategies, and a Tesla Powerwall to operate off-grid, perfect for summers or winters. 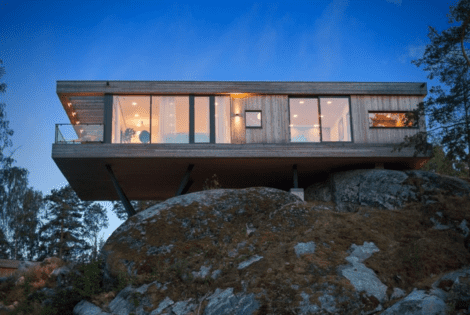 The whole house is an architectural marvel, suspended and hovering over the cliffside via metal stilts. The exterior shows a fine blend of sophistication and ruggedness: The glass panes evoke sleekness, which then becomes a highlight in contrast with the more unpolished presentation of the rest of the structure.